In Lost in Oz: Extended Adventure, twelve-year-old Dorothy Gale (Ashley Boettcher) discovers her mother’s magical travel journal from Oz hidden beneath the floorboards of their Kansas home. The book triggers a tornado, rips her house from its foundation, and transports Dorothy and her dog, Toto, to Oz. Lost in this bustling, modern, magical metropolis, Dorothy learns that to get back to Kansas, she will need to acquire every magical element in Oz to get home. Unfortunately for Dorothy, Oz is currently facing the worst magic crisis in eons. Dorothy and Toto find unlikely friends and allies in West (Nika Futterman), a young street-smart witch grappling with dark magic temptations, and Ojo (Jorge Diaz), a half-Munchkin full of heart. Dorothy realizes the only way to get the magic she needs to get home is to find Glinda, the elusive and most powerful witch in Oz. 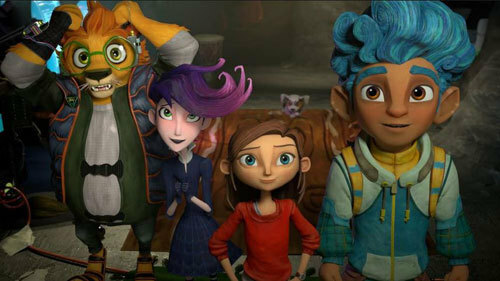 Amazon Studios original kids special, Lost in Oz: Extended Adventure premieres on December 2! You can also view the trailer here! Do you watch shows on Amazon? Comment below!